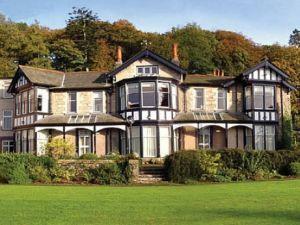 The Castle Green Hotel in Kendal HotelThe hotel is set in 14 acres of natural gardens and woodland yet is only 6 miles from M6 & 10 miles from Windermere and the Lake District. Awarded Best Western Fans Favourite for 2017, it offers modern comfort and facility in the 99 rooms. For dining, guests can choose the 2-AA Rosette awarded Greenhouse restaurant with its contemporary style and theatre kitchen or the more traditional Alexander’s in the hotel grounds for traditional ales and bar meals. The hotel is set in 14 acres of natural gardens and woodland yet is only 6 miles from M6 & 10 miles from Windermere and the Lake District. Leisure club on site includes pool, steam room and gym complimentary for residents. Also, beauty salon available at additional cost. Children welcome from any age through reduced timings in the pool. Leave the M6 jct 37, taking the A684 towards Kendal. Travel for approximately 6 miles and the hotel will be on your right-hand side. Oxenholme station 3 miles from station, best accessible by taxi.